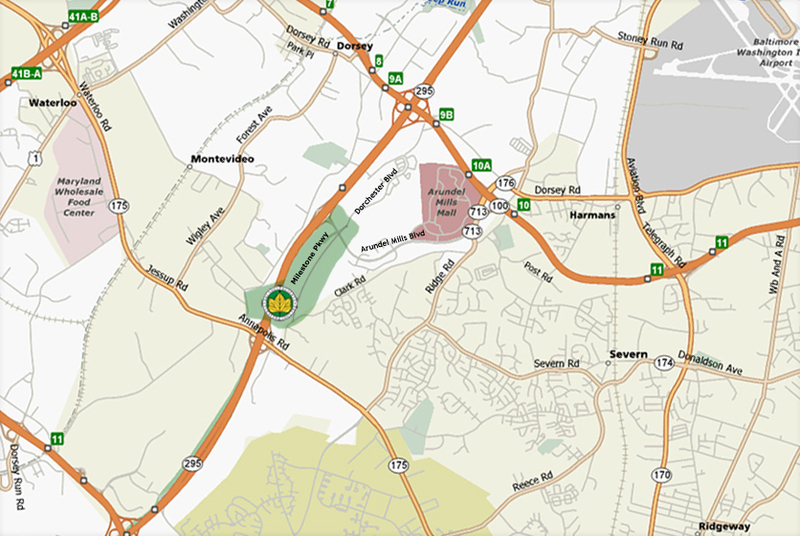 ARUNDELPRESERVE is a 268-acre, mixed-use community located in the heart of the Baltimore-Washington Corridor, which is part of the 1,100-acre Arundel Mills Development. This is a neo-classical community with stringent architectural controls, where one can live, work, shop, play, and raise a family, all within the same community. ARUNDELPRESERVE is smart growth at its best, and it is the standard for mixed-use development against which all others are judged. Everything is easily within reach: work, play, shopping and services, trains and planes, major arteries and world-class cities. Close to everything. And a haven away from it all. Take the Baltimore-Washington Parkway/295 South towards Washington. 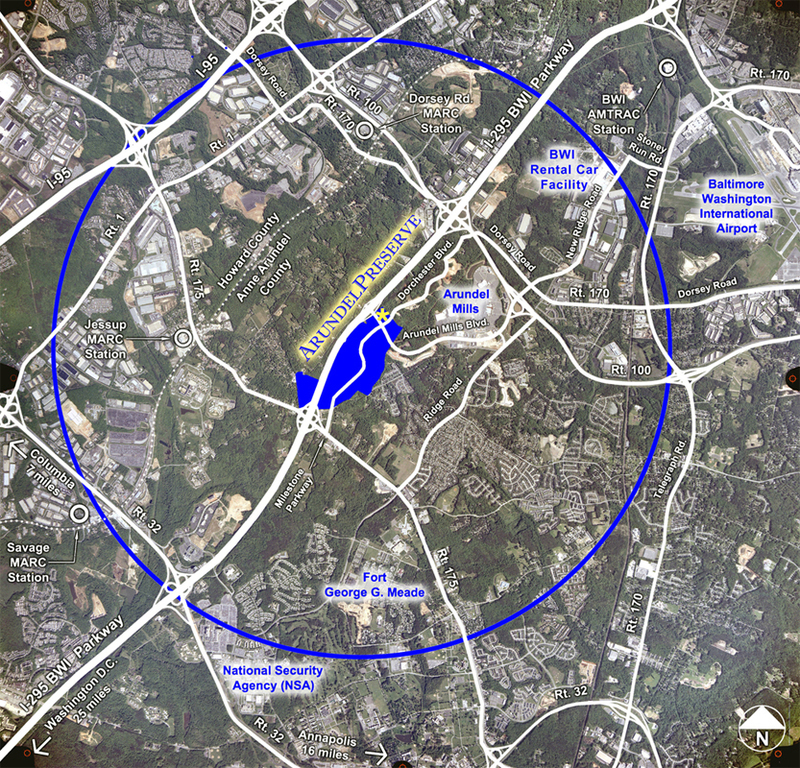 Take the Arundel Mills Blvd. exit. Take the Baltimore-Washington Parkway/295 North towards Baltimore. Take the Arundel Mills Blvd. exit.